Maurice Bernard Sendak (; June 10, 1928 – May 8, 2012) was an American illustrator and writer of children's books. He became widely known for his book Where the Wild Things Are, first published in 1963. Born to Jewish-Polish parents, his childhood was affected by the death of many of his family members during the Holocaust. Besides Where the Wild Things Are, Sendak also wrote works such as In the Night Kitchen, Outside Over There, and illustrated many works by other authors including the Little Bear books by Else Holmelund Minarik. Sendak was born in New York City in the borough of Brooklyn to Polish Jewish immigrant parents named Sadie (née Schindler) and Philip Sendak, a dressmaker. Sendak described his childhood as a "terrible situation" due to the death of members of his extended family during the Holocaust which exposed him at a young age to the concept of mortality. His love of books began when, as a child, he developed health problems and was confined to his bed. He decided to become an illustrator after watching Walt Disney's film Fantasia at the age of twelve. One of his first professional commissions was to create window displays for the toy store F.A.O. Schwarz. His illustrations were first published in 1947 in a textbook titled Atomics for the Millions by Dr. Maxwell Leigh Eidinoff. He spent much of the 1950s illustrating children's books written by others before beginning to write his own stories. His older brother Jack Sendak also became an author of children's books, two of which were illustrated by Maurice in the 1950s. Maurice was the youngest of three siblings. His sister, Natalie, was nine years older than he, and his brother, Jack, was five years older than he. Sendak gained international acclaim after writing and illustrating Where the Wild Things Are, edited by Ursula Nordstrom at Harper & Row. It features Max, a boy who "rages against his mother for being sent to bed without any supper". The book's depictions of fanged monsters concerned some parents when it was first published, as his characters were somewhat grotesque in appearance. Before Where the Wild Things Are, Sendak was best known for illustrating Else Holmelund Minarik's Little Bear series of books. A little boy sent me a charming card with a little drawing on it. I loved it. I answer all my children's letters – sometimes very hastily – but this one I lingered over. I sent him a card and I drew a picture of a Wild Thing on it. I wrote, 'Dear Jim: I loved your card.' Then I got a letter back from his mother and she said: 'Jim loved your card so much he ate it.' That to me was one of the highest compliments I've ever received. He didn't care that it was an original Maurice Sendak drawing or anything. He saw it, he loved it, he ate it. Almost fifty years later, School Library Journal sponsored a survey of readers which identified Where the Wild Things Are as top picture book. The librarian who conducted it observed that there was little doubt what would be voted number one and highlighted its designation by one reader as a watershed, "ushering in the modern age of picture books". Another called it "perfectly crafted, perfectly illustrated ... simply the epitome of a picture book" and noted that Sendak "rises above the rest in part because he is subversive". When Sendak saw a manuscript of Zlateh the Goat and Other Stories, the first children's book by Isaac Bashevis Singer, on the desk of an editor at Harper & Row, he offered to illustrate the book. It was first published in 1966 and received a Newbery Honor. Sendak was delighted and enthusiastic about the collaboration. He once wryly remarked that his parents were "finally" impressed by their youngest child when he collaborated with Singer. His book In the Night Kitchen, originally issued in 1970, has often been subjected to censorship for its drawings of a young boy prancing naked through the story. The book has been challenged in several American states including Illinois, New Jersey, Minnesota, and Texas. In the Night Kitchen regularly appears on the American Library Association's list of "frequently challenged and banned books". It was listed number 21 on the "100 Most Frequently Challenged Books of 1990–1999". His 1981 book Outside Over There is the story of a girl, Ida, and her sibling jealousy and responsibility. Her father is away and so Ida is left to watch her baby sister, much to her dismay. Her sister is kidnapped by goblins and Ida must go off on a magical adventure to rescue her. At first, she is not really eager to get her sister and nearly passes her sister right by when she becomes absorbed in the magic of the quest. In the end, she rescues her baby sister, destroys the goblins, and returns home committed to caring for her sister until her father returns home. Sendak was an early member of the National Board of Advisors of the Children's Television Workshop during the development stages of the Sesame Street television series. He also adapted his book Bumble Ardy into an animated sequence for the series, with Jim Henson as the voice of Bumble Ardy. He wrote and designed three other animated stories for the series: "Seven Monsters" (which never aired), "Up & Down", and "Broom Adventures". Sendak produced an animated television production based on his work titled Really Rosie, featuring the voice of Carole King, which was broadcast in 1975 and is available on video (usually as part of video compilations of his work). An album of the songs was also produced. He contributed the opening segment to Simple Gifts, a Christmas collection of six animated shorts shown on PBS TV in 1977 and later issued on VHS in 1993. He adapted his book Where the Wild Things Are for the stage in 1979. Additionally, he designed sets for many operas and ballets, including the award-winning (1983) Pacific Northwest Ballet production of Tchaikovsky's The Nutcracker, Houston Grand Opera's productions of Mozart's The Magic Flute (1981) and Humperdinck's Hansel and Gretel (1997), Los Angeles County Music Center's 1990 production of Mozart's Idomeneo, and the New York City Opera's 1981 production of Janáček's The Cunning Little Vixen. In the 1990s, Sendak approached playwright Tony Kushner to write a new English version of the Czech composer Hans Krása's children's Holocaust opera Brundibár. Kushner wrote the text for Sendak's illustrated book of the same name, published in 2003. The book was named one of the New York Times Book Review's 10 Best Illustrated Books of 2003. In 2003, Chicago Opera Theatre produced Sendak and Kushner's adaptation of Brundibár. In 2005, Berkeley Repertory Theatre, in collaboration with Yale Repertory Theatre and Broadway's New Victory Theater, produced a substantially reworked version of the Sendak-Kushner adaptation. In 2004 Sendak worked with the Shirim Klezmer Orchestra in Boston on their project "Pincus and the Pig: A Klezmer Tale". This Klezmer version of Sergei Prokofiev's famous musical story for children, Peter and the Wolf featured Maurice Sendak as the narrator. He also illustrated the cover art. Sendak also created the children's television program Seven Little Monsters. Sendak mentioned in a September 2008 article in The New York Times that he was gay and had lived with his partner, psychoanalyst Dr. Eugene Glynn, for 50 years before Glynn's death in May 2007. Revealing that he never told his parents, he said, "All I wanted was to be straight so my parents could be happy. They never, never, never knew." Sendak's relationship with Glynn had been mentioned by other writers before (e.g., Tony Kushner in 2003) and Glynn's 2007 death notice had identified Sendak as his "partner of fifty years". After his partner's death, Sendak donated $1 million to the Jewish Board of Family and Children's Services in memory of Glynn who had treated young people there. The gift will name a clinic for Glynn. Sendak was an atheist. In a 2011 interview he stated that he did not believe in God and explained that he felt that religion, and belief in God, "must have made life much easier [for some religious friends of his]. It's harder for us non-believers." Maurice Sendak drew inspiration and influences from a vast number of painters, musicians and authors. Going back to his childhood, one of his earliest memorable influences was actually his father, Philip Sendak. According to Maurice, his father would relate tales from the Old Testament; however, he would embellish them with racy details. Not realizing that this was inappropriate for children, little Maurice would frequently be sent home after retelling his father's "softcore Bible tales" at school. Growing up, Sendak developed from other influences, starting with Walt Disney's Fantasia and Mickey Mouse. Sendak and Mickey Mouse were born in the same year and Sendak described Mickey as a source of joy and pleasure while growing up. He has been quoted as saying, "My gods are Herman Melville, Emily Dickinson, Mozart. I believe in them with all my heart." Elaborating further, he has explained that reading Emily Dickinson's works helps him to remain calm in an otherwise hectic world: "And I have a little tiny Emily Dickinson so big that I carry in my pocket everywhere. And you just read three poems of Emily. She is so brave. She is so strong. She is such a passionate little woman. I feel better." Likewise, of Mozart, he has said, "When Mozart is playing in my room, I am in conjunction with something I can't explain. [...] I don't need to. I know that if there's a purpose for life, it was for me to hear Mozart." Ursula Nordstrom, director of Harper's Department of Books for Boys and Girls from 1940 to 1973, was also an inspiration for Sendak. Sendak died on May 8, 2012, at age 83, in Danbury, Connecticut, at Danbury Hospital, from complications of a stroke, less than a month before his 84th birthday. His remains were cremated. The New York Times obituary called Sendak "the most important children's book artist of the 20th century." Author Neil Gaiman remarked, "He was unique, grumpy, brilliant, gay, wise, magical and made the world better by creating art in it." Author R. L. Stine called Sendak's death "a sad day in children's books and for the world." "We are all honored to have been briefly invited into his world," remarked comedian Stephen Colbert. The 2012 season of Pacific Northwest Ballet's "The Nutcracker," for which Sendak designed the set, was dedicated to his memory. On May 12, 2012, Nick Jr. hosted a 2-hour Little Bear marathon in his memory. The writer of the series Else Holmelund Minarik would die herself only 2 months later on July 12, 2012 at the age of 91. His final book, Bumble-Ardy, was published eight months before his death. A posthumous picture book, titled My Brother's Book, was published in February 2013. The film Her was dedicated in memory of him and Where the Wild Things Are co-star James Gandolfini. The film had been directed by Spike Jonze, who had also directed the motion picture adaptation of Where the Wild Things Are. In 1968 Sendak chose The Rosenbach Museum & Library in Philadelphia, Pennsylvania, to be the repository for his work thanks to shared literary and collecting interests. His collection of nearly 10,000 works of art, manuscripts, books and ephemera, has been the subject of many exhibitions at the Rosenbach, seen by visitors of all ages. Sendak once praised Herman Melville's writings, saying, "There's a mystery there, a clue, a nut, a bolt, and if I put it together, I find me." From May 6, 2008, through May 3, 2009, the Rosenbach presented There's a Mystery There: Sendak on Sendak. This major retrospective of over 130 pieces pulled from the museum's vast Sendak collection is the largest and most ambitious exhibition of Sendak's work ever created and is now a traveling exhibition. It features original artwork, rare sketches, never-before-seen working materials, and exclusive interview footage. The exhibition draws on a total of over 300 objects, providing a unique experience with each bit of writing. Stories told by the illustrator himself on topics like Alice in Wonderland, his struggle to illustrate his favorite novels, hilarious stories of Brooklyn, and the way his work helps him exorcise childhood traumas. In July, 2014 the Sendak estate notified the museum that it was recalling the entire Sendak Collection which had been housed there on loan since 1968. However, the Rosenbach has filed suit against the estate, claiming that they have violated stipulations in Sendak's will which gifted material to the museum. If The Rosenbach loses the suit, they will lose more than 10,000 items, or about 98 percent of its Sendak materials, to a proposed new museum and study center in Sendak's home in Ridgefield, Connecticut. Internationally, Sendak received the third biennial Hans Christian Andersen Award for Illustration in 1970, recognizing his "lasting contribution to children's literature". He received one of two inaugural Astrid Lindgren Memorial Awards in 2003, recognizing his career contribution to "children's and young adult literature in the broadest sense". The citation called him "the modern picture-book's portal figure" and the presentation credited Where the Wild Things Are with "all at once [revolutionizing] the entire picture-book narrative ... thematically, aesthetically, and psychologically." In the U.S. he received the Laura Ingalls Wilder Medal from the professional children's librarians in 1983, recognizing his "substantial and lasting contributions to children's literature". At the time it was awarded every three years. Only Sendak and the writer Katherine Paterson have won all three of these premier awards. Inducted into the New York Writers Hall of Fame in 2013. Sendak was honored in North Hollywood, California, where an elementary school was named after him. He received an honorary doctorate from Princeton University in 1984. On June 10, 2013 Google featured an interactive doodle where visitors could click on the video-go triangle to see an animated movie-ette of Max and Sendak's other main characters. 2009: Tell Them Anything You Want: A Portrait of Maurice Sendak, documentary filmed by Lance Bangs and Where the Wild Things Are director Spike Jonze. Released in the US on DVD by Oscilloscope Laboratories. June 11, 2013 – August 17, 2013. "Maurice Sendak: A Celebration of the Artist and his Work" at the Society of Illustrators in New York. Permanent. Maurice Sendak Collection at The Rosenbach Museum & Library in Philadelphia. 2013–"Maurice Sendak; The Memorial Exhibition." April 2013 "Bowers Museum of California" "The New Britain Museum of American Art'"
September 8, 2009 – January 19, 2010. There's a Mystery There: Sendak on Sendak at The Contemporary Jewish Museum in San Francisco. October 6, 2009 – November 1, 2009. Where the Wild Things Are: Original Drawings by Maurice Sendak at The Morgan Library & Museum in New York. October 1–30, 2009 "SENDAK IN SOHO" at AFA Gallery in New York. April 15, 2005 – August 14, 2005. Wild Things: The Art of Maurice Sendak at the The Jewish Museum in New York. ^ a b Bruni, Frank (May 24, 2007). "Glynn, Eugene David, M.D.". The New York Times. ^ Turan, Kenneth (October 16, 2009). 'Where the Wild Things Are'. Movie Review. Los Angeles Times. ^ "Maurice Sendak Papers". With Biographical Note. ^ Wood, Sura (September 3, 2009). "Author-illustrator Maurice Sendak's work is the subject of a show at the Contemporary Jewish Museum". San Jose Mercury News. Retrieved May 10, 2012. ^ Inskeep, Steve (September 26, 2006). "Why Maurice Sendak Puts Kid Characters in Danger". ^ Roth, Matthue (October 16, 2009). "Maurice Sendak". Patheos (patheos.com). ^ Saxon, Wolfgang (February 4, 1995). 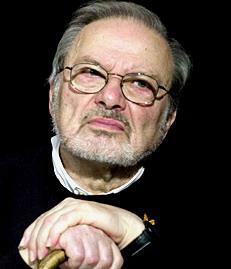 "Jack Sendak, 71, a Writer of Surrealist Books for Children". The New York Times. ^ a b "SLJ's Top 100 Picture Books" (poster presentation of reader poll results). A Fuse #8 Production. School Library Journal. 2012. Retrieved June 13, 2013. ^ Hulbert, Ann (November 26, 2003). "How Wild Was the Work of Maurice Sendak? Do his books celebrate wildness—or teach us to master it?". ^ Davies, Luke (December 3, 2011). "Hergé and me". Brisbane Times. ^ Bird, Elizabeth (July 2, 2012). by Maurice Sendak"Where the Wild Things Are"Top 100 Picture Books #1: . A Fuse 8 Production. Retrieved June 17, 2013. ^ Stavans, Ilan (ed. ), Isaac Bashevis Singer: An Album, The Library of America, 2004, pp. 70–71. ^ "Censorship Bibliography — Memories of Childhood: Six Centuries of Children's Literature at the de Grummond Collection (June–September 2000). de Grummond Children's Literature Collection. USM Libraries. Retrieved June 12, 2013. ^ "100 most frequently challenged books: 1990–1999". Banned & Challenged Books. American Library Association. ^ Cohen, Patricia (September 9, 2008). "Concerns Beyond Just Where the Wild Things Are". The New York Times. ^ Kushner, Tony (December 5, 2003). "How Grim Can It Be?". ^ Bermudez, Caroline (August 12, 2010). "Famed Children's Book Author Gives $1-Million for Social Services". ^ On Maurice Sendak's death (May 8, 2012), the host of NPR's Fresh Air, Terry Gross, aired 2003 and 2011 interviews she had conducted with Sendak. In September 2011 she said, "You're very secular, you don't believe in God." Sendak replied, "I don't," and elaborated. Among other things, he remarked, "It [religion, and belief in God] must have made life much easier [for some religious friends of his]. It's harder for us non-believers." ^ "Maurice Sendak". NNDB. Retrieved May 10, 2012. ^ Wild Things: The Art of Maurice Sendak" (April 15, 2005 – August 14, 2005). Exhibition overview and gallery. The Jewish Museum of New York. Retrieved June 12, 2013. ^ Maurice Sendak: "Where the Wild Things Are". 2004 interview by Bill Moyers. Audio-video with preface and transcript. Now on PBS. PBS (pbs.org). ^ a b c Fox, Margalit (May 8, 2012). "Maurice Sendak, Children's Author Who Upended Tradition, Dies at 83". The New York Times. Retrieved May 8, 2012. ^ Barnett, David (June 12, 2012). "'"Maurice Sendak's British editor: 'I have lost a very, very great friend. The Guardian. ^ a b c "Reactions by authors and celebrities to the death of Maurice Sendak". ^ a b "Hans Christian Andersen Awards". International Board on Books for Young People (IBBY). Retrieved June 12, 2013. ^ a b "Maurice Sendak" (pp. 44–45, by Sus Rostrup). The Hans Christian Andersen Awards, 1956–2002. IBBY. Gyldendal. 2002. Hosted by Austrian Literature Online. Retrieved July 23, 2013. ^ a b "2003: Maurice Sendak: Researches Secret Recesses of Childhood". The Astrid Lindgren Memorial Award. Retrieved August 13, 2012. ^ a b "Laura Ingalls Wilder Award, Past winners". Association for Library Service to Children (ALSC). American Library Association (ALA). "About the Laura Ingalls Wilder Award". ALSC. ALA. Retrieved March 9, 2013. ^ "Caldecott Medal & Honor Books, 1938–Present". ALSC. ALA.
"The Randolph Caldecott Medal". ALSC. ALA. Retrieved May 5, 2013. ^ "National Book Awards – 1982". National Book Foundation. Retrieved February 27, 2012. ^ "Lifetime Honors: National Medal of Arts". ^ "Maurice Sendak to Speak at Goucher College's 113th Commencement". ^ Delmar-Morgan, Alex (June 10, 2013). "Maurice Sendak's 85th birthday: Google doodle goes where the wild things are". The Guardian. Retrieved June 10, 2013. Wilcock, John. "The Wonderful World Of Maurice Sendak". The Village Voice. September 26, 1956. Phelps, Robert. "Fine Book for Children by a Secret Child: The Hidden World of Maurice Sendak". Life. December 15, 1967. Merrell, Nelson. "Maurice Sendak Hits The Road". The Ridgefield Press. July 13, 1972. pp. 1 and 6. Kuskin, Karla. "Maurice Sendak, The Artful Master, Curbs Puppy Doggedness". The Village Voice. September 6, 1976. pp. 51 and 53. "Meeting of the Minds". New York. October 27, 1980. Associated Press. "Maurice Sendak: Resident Ghoul For Youngsters". The Lewiston Daily Sun. June 17, 1981. Chun, Diane. "Maurice Sendak Expertly Probes Complex World of Childhood". The Gainesville Sun. March 7, 1982. pp. 1E and 11E. Associated Press. "Sendak in Charge of His Characters". The Toledo Blade. December 22, 1984. Holland, Bernard. "The Paternal Pride Of Maurice Sendak". The New York Times. November 8, 1987. Shirk, Martha. "Relatively Monstrous: Maurice Sendak Says Nightmarish Kin Inspired His Famous `Wild Things`". The Chicago Tribune. January 29, 1990. Abrams, Garry. "King of the Wild Things: Maurice Sendak". The Los Angeles Times. December 4, 1991. O'Brien, Ellen. "Sharp Edge To Maurice Sendak's Memory: New Philadelphia Exhibits Honor His Late Brother". The Philadelphia Inquirer. April 19, 1995. Klein, Julia M.. "Where Sendak Is; Fun For Both Old And Young A Wild Thing Indeed: Please Touch Presents Maurice Sendak's Books Come To Life". The Philadelphia Inquirer. May 1, 1995. Rollin, Lucy; West, Mark I.. "Childhood Fantasies and Frustrations in Maurice Sendak's Picture Books". Psychoanalytic Responses to Children's Literature. Jefferson, NC: McFarland & Company, Inc. Publishers. 1999, 2008. pp. 79–89. ISBN 978-0-7864-3764-1. PEN/Faulkner Foundation, editor. "Maurice Sendak". 3 Minutes or Less: Life Lessons from America's Greatest Writers. New York: Bloomsbury. 2000. pp. 19–20. ISBN 1-58234-069-2. Stanton, Joseph. "The New York City Picture Books of Maurice Sendak". The Important Books: Children's Picture Books As Art And Literature. Lanham, MD: Scarecrow Press. 2005. pp. 37–52. ISBN 0-8108-5176-8. Schechter, Joel. "The Jewish experience and Maurice Sendak". Haaretz. September 29, 2009. Rosenberg, Amy S.. "Sendak, Picturing Mortality". The Philadelphia Inquirer. April 24, 2011. Denn, Rebekah. "Maurice Sendak: different sides of a fascinating author". The Christian Science Monitor. October 3, 2011. "TateShots: Maurice Sendak", a five-minute interview, Tate Museum, December 22, 2011; "look back over his literary career, discuss his love for William Blake and hear why he believes that as an artist, 'you just have to take the dive'"
"Where the Wild Things Are"Maurice Sendak: , NOW on PBS, interview by Bill Moyers, 2004 – Other links: NOW: "Brundibar"The History of ; American Masters: "Maurice Sendak"; HBO: "A Portrait of Maurice Sendak"
"Maurice Sendak", KCRW Bookworm Interview by Michael Silverblatt, May 18, 1992; "talks about The Nutcracker and the process of writing a book that became a classic"